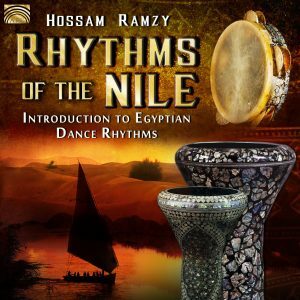 Visual Melodies® is the dawn of a new era in Egyptian Dance Entertainment and Educational DVDs. – Clearly defined menus providing you with easy access to the parts of the DVD. – Giving you a special section where you can watch the three routines consecutively or one by one. – Each dance routine is presented from three different angles: Front, left & right camera angles. To write a review about this DVD and share your thoughts with other customers please scroll to the bottom of the page. He comprado "Visual Melodies" para Ana, mi esposa. (Lo he comprado a través de mi hermana Teresa, que pidió dos ejemplares). Te escribo para felicitarte a tí y a Serena, de mi parte y de Ana: A Serena por su elegante danza fina y armoniosa, y a tí por el maravilloso concepto y estructura del menú del DVD, que es una gran ayuda para comprender e interpretar la danza. Pienso que nadie ha hecho nada parecido !! !